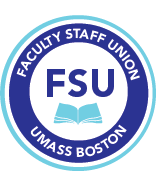 We encourage you to obtain further information at the FSU website regarding the contract and to read the FSU primer on contract rights for NTT (including promotional eligibility and the process for allocating additional work to part-time NTT faculty). Important Reminder about Senior Lecturer and Senior Lecturer II promotions: Lecturers must notify their department if they believe they are eligible to apply (see the criteria for eligibility in Article 21.10.5 of the contract and in the primer) by the first day of the Spring semester. YOU WILL NOT BE NOTIFIED BY THE ADMINISTRATION OR YOUR DEPARTMENT OF YOUR ELIGIBILITY, SO IF YOU THINK YOU ARE ELIGIBLE, WE ENCOURAGE YOU TO APPLY. We look forward to seeing you on the 19th or 20th.